No need to reinvent the wheel! Someone else has solved that CAD problem or designed that bolt. 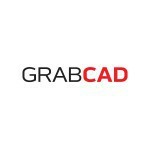 The GrabCAD Library has the models and knowledge you need in the world’s largest collection of free CAD files.